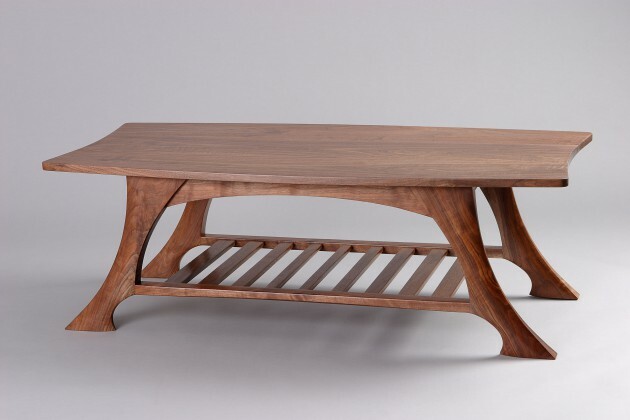 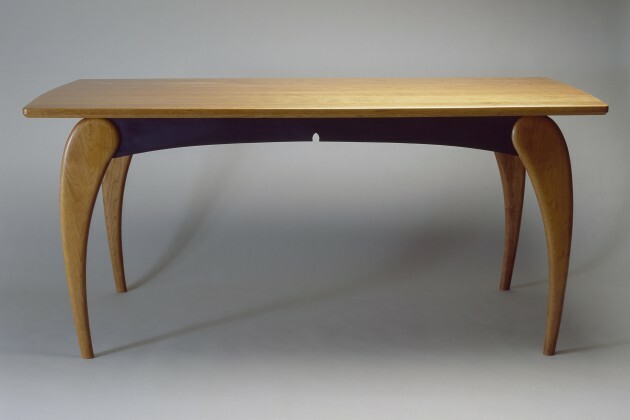 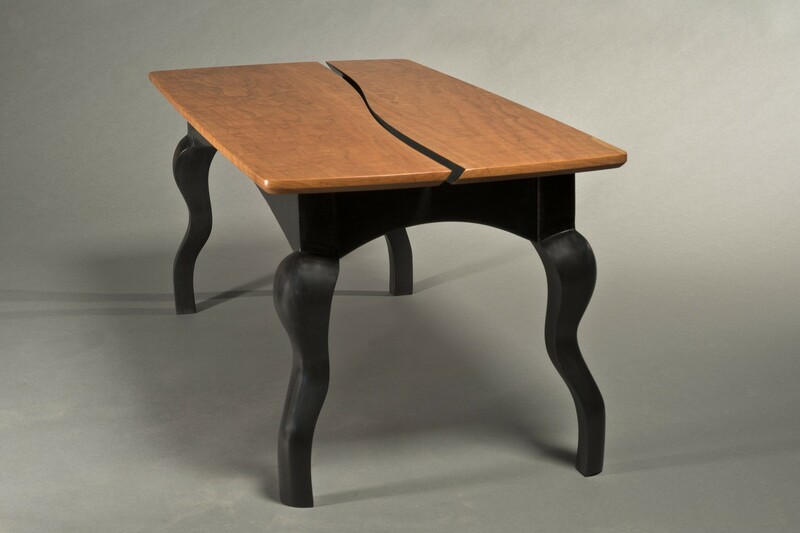 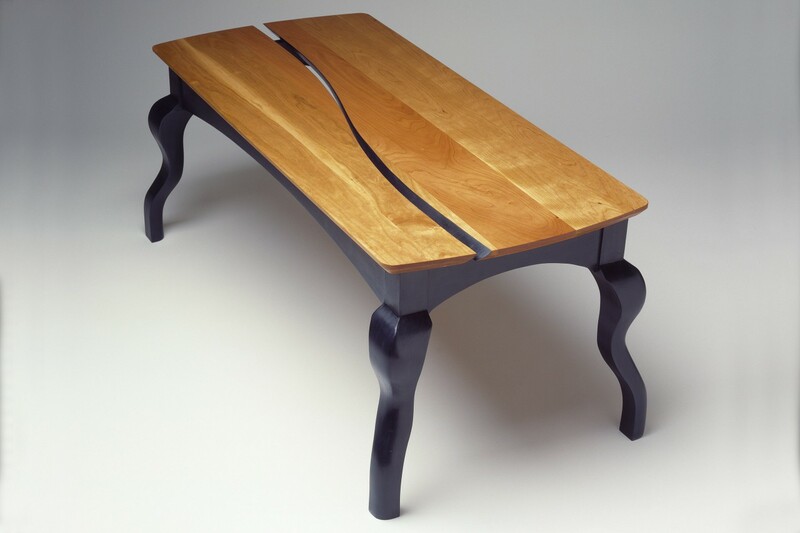 The Rio Grande Coffee Table features a unique cherry wood top cut and shaped on a flowing curve like a slot canyon. 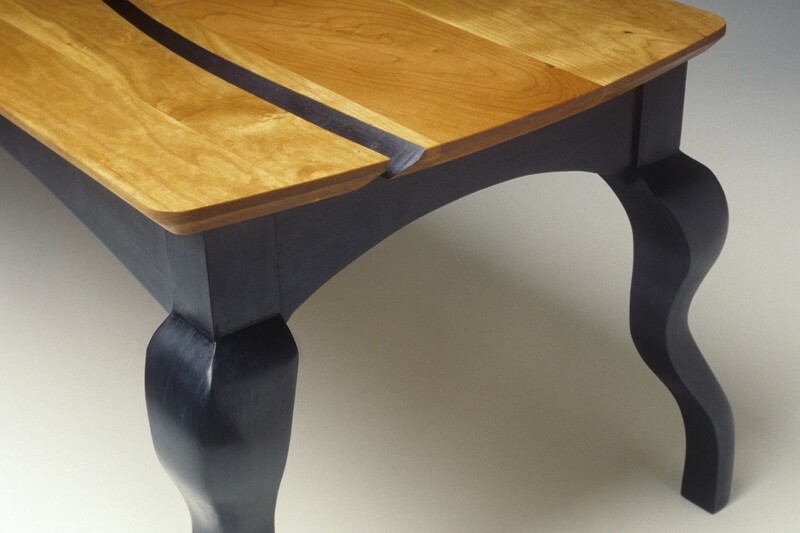 The sculptural wood legs are hand carved and painted with milk paint which is non-toxic, durable and has a beautiful satin sheen. 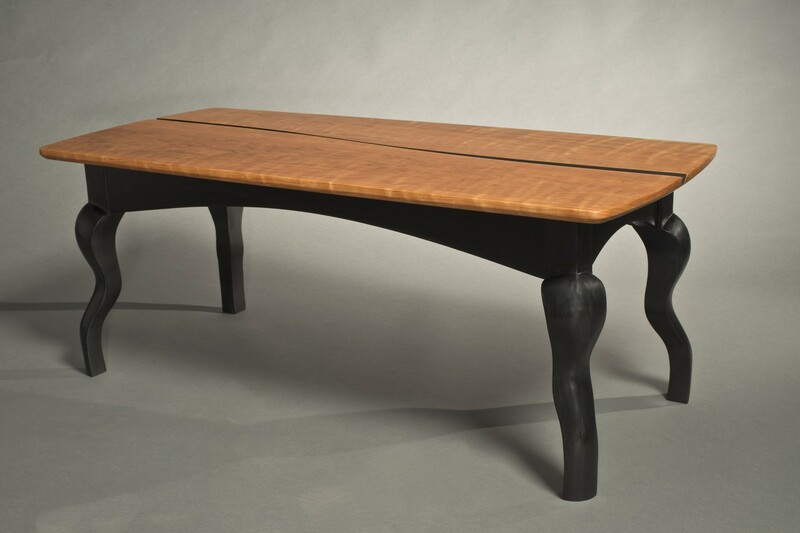 This wood coffee table can be ordered in custom sizes to suit your living room.